Alex Reiss is creating all kinds of COSPLAY STUFF! Hi! 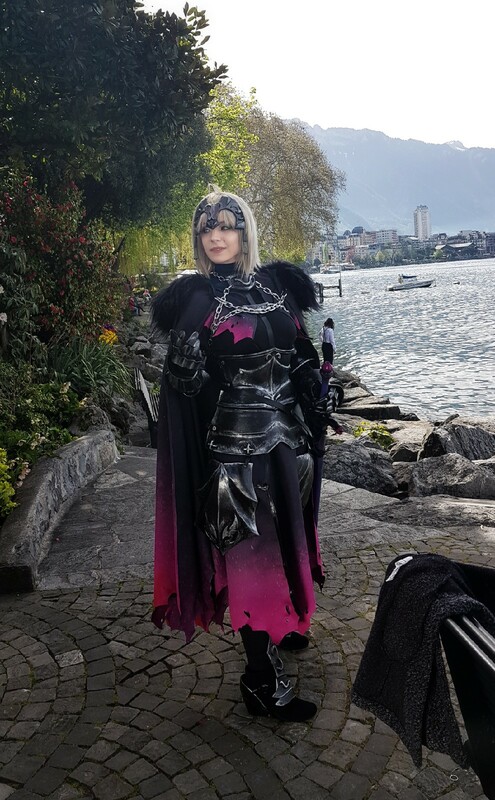 I'm Alex and I love cosplay, armor builds, funny skits and kittens. ice to meet you! If you are here you probably love one of those things too ;) Let's see what I have in stock for you! If you are a cosplayer youself, on my page you can find cosplay advice, patterns, tutorials, in-progresses of current projects, booklets on finished projects, printable 3D models, blueprints & beginner tips! As for additional content, I have HD wallpapers, bonus photos from photoshoots, posters & personal badges with different themes every month! 100 patron-only posts from previous months! ATTENTION: This page is currently on pause! Charging will resume on the 1st of JUNE! Rewards for May will be published throughout the month as well as new tier lists. The page set to "charge up front" system. It means you will be charged on the day you pledge and instantly get access to all content posted here. - Access to BTS materials! - Cosplay & crafting tips! - A one-of-a-kind signed polaroid! - 1 signed A4 poster! - Access to compound downloadable 3D models! 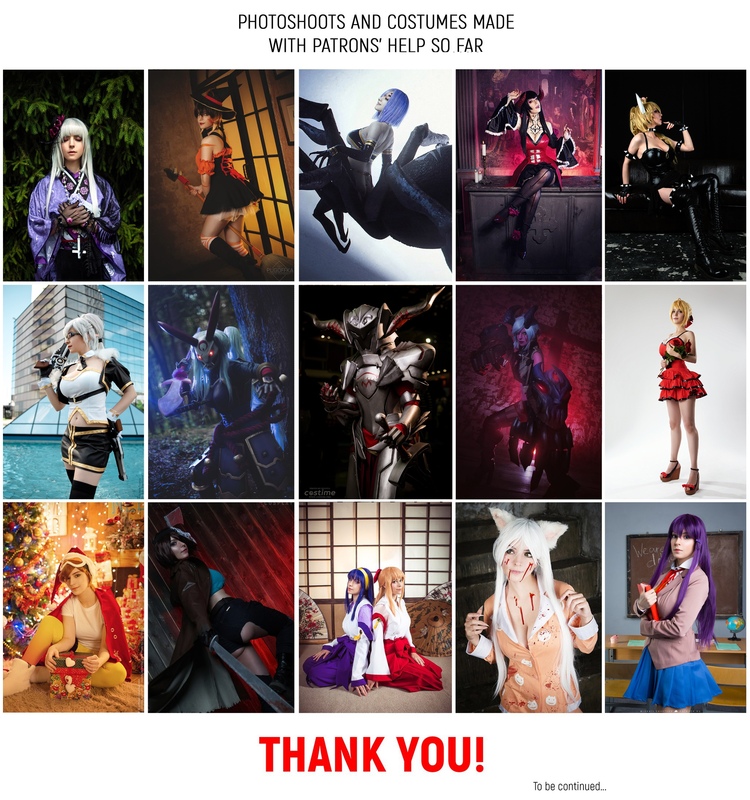 - A personal consultation on your cosplay via e-mail or Skype! - A MONTHLY COSPLAY TEST OF YOUR CHOICE!